Barrio Logan is one of the oldest neighborhoods in San Diego. It used to be one whole community called Logan Heights, named after congressman John A. Logan, but the creation of the Interstate 5 freeway that bisected the neighborhood changed that. Then the building of the San Diego–Coronado Bridge changed it again. Thousands were displaced from building the freeway and the bridge. Now Barrio Logan encompasses a relatively small patch of land sandwiched between the San Diego Bay and the I-5 freeway and north of National City and south of San Diego’s East Village. Fewer than 5,000 people inhabit my barrio. Thousands more come during the day to work here in the shipyards, the Port of San Diego and the other companies that line the bay side of Barrio Logan. Of those 5,000 barrio denizens about 85% of them are non-white, most of which are of Mexican descent. But things are changing. There are demographic shifts as property values rise and the proximity to Downtown San Diego is realized. Developers are drooling to take over the land to build condos and hipster bars. A showdown over the future character of my community is on the horizon. Barrio Logan is one of the most stereotyped neighborhoods in all of San Diego. People who don’t live here have negative thoughts about my barrio. That it is crime ridden. Full of gangs. Violence plagued. But Barrio Logan has gotten a bum rap over the years. It is not the crime-infested slum that people think it is. Things have changed for the positive and Barrio Logan has become a place where working families can once again raise their children in a positive, culturally affirming way. 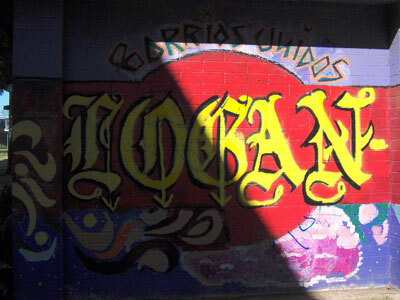 Barrio Logan is home to Chicano Park, the largest outdoor display of murals in the world. 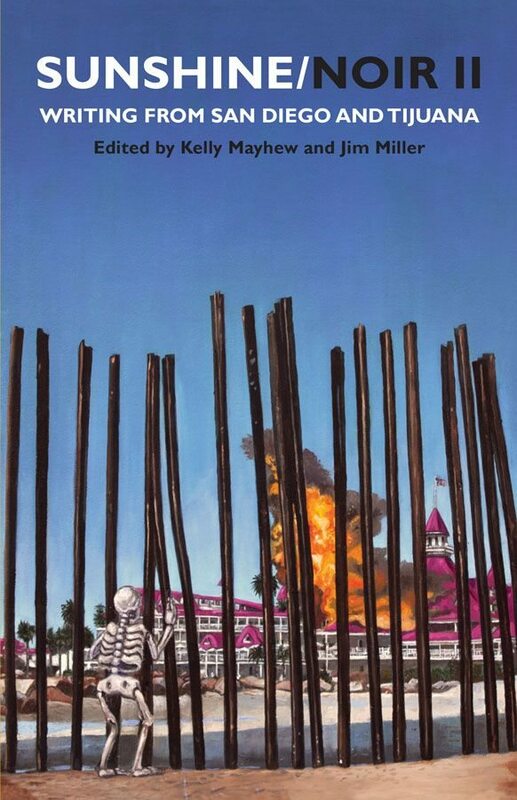 It’s also home to the militancy that created Chicano Park. A militancy that won’t ever go away, even as the Chicano Movement generation grows older. Barrio Logan is also home to a burgeoning Barrio Arts District. If Chicano Park is grandaddy to San Diego’s Chicano arts scene then places like the Voz Alta Project Gallery, The Roots Factory and The Spot Barrio Logan are its wayward grandchildren ready to rise up and share this generation’s vision of Chicano art and culture. Barrio Logan is home to the Barrio Station and the Barrio Logan College Institute. Las Cuatro Milpas and Blueprint Cafe. Centro Aztlán Marco Anguiano and the Paradise Senior Center. Don Diego VFW and the Logan Inn. We are churches and one liquor store. A community with taco shops, carnicerías y fruterías galore. We are San Diego Public Market and Mercado Northgate. We roast fine coffee beans at Ryan Bros., Cafe Virtuoso and Cafe Moto. Murals blaze colors on walls throughout this neglected, working-class neighborhood. Barrio Logan is one of the poorest communities in the city of San Diego. Yet we shine on. We are the embodiment of a living, breathing culture going about our lives. We live la vida Logan. Reprinted from the San Diego Free Press, April 3, 2013. Thank you for this, so beautiful. I am a new resident to San Diego and will make it a point to go visit and look around the Chicano Park. Did not know of the art and murals there. I can’t remember the name and I have only been there twice what is the name of the neighborhood bar that sits between Boarder X and The Chain bike/skate shop?